You can schedule social media updates while you’re poolside on a tropical vacation, at home on a sick day, or during the seventh inning stretch at your kid’s game (as long as you put your work down when the game starts back up). 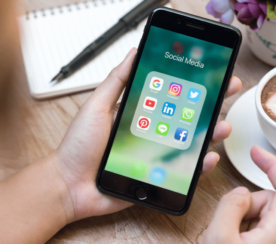 Given how increasingly mobile social media has become, social media marketing apps can help you do more than just check in when you aren’t in the office. Working within the environment where your content will be consumed lets you experience, create, and preview content the way your audience will see it. Plus, effective management of networks like Snapchat and Instagram require a certain amount of mobile usage. It’s time to get well versed in the social media marketing apps in your pocket that will help you do your job. 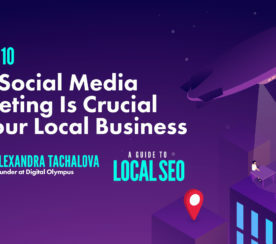 Sure, the social media channels’ official apps cover the basics of watching over your brand, but you can do more for your social strategy, anywhere and anytime. These are the apps that will help you do it. Iconosquare is a great tool for managing your overall Instagram strategy and presence. Content planning and scheduling on the mobile-first platform becomes easy, whether you’re uploading original content or reposting another user. You can manage multiple accounts, posting, optimizing, and analyzing your performance from mobile. The app lets you view analytics and save hashtags and other content. Live video is a content format that people continue to favor, helping you stand out in increasingly competitive social media algorithms. Another key advantage of live social video is that it can be broadcast from anywhere. It’s perfect for capturing brand moments on-the-go, especially for your Facebook page. 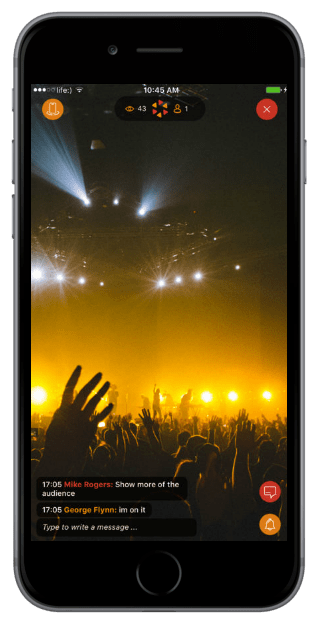 BeLive.tv’s mobile apps let you use their freemium service to broadcast live to your brand’s Facebook followers, allowing you to add branded frames and split-screen interview formats to your broadcasts. 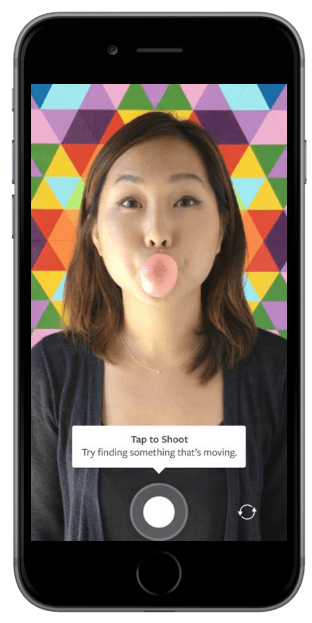 Going live through third-party apps gives both you and the viewers a nicer and more organized experience, making it easier to foster engagement with video in real time. Thanks to brand trust challenges and increasingly stingy newsfeed algorithms, peer-to-peer social shares are becoming all the more important aspects of your content distribution plans. And if you’re going to get your whole company in on the effort, you’ll need to make it easy for team members to share brand assets on the go. Smarp’s online employee communication and advocacy software makes it easy to turn everyone at your company into brand ambassadors and share content on social media. 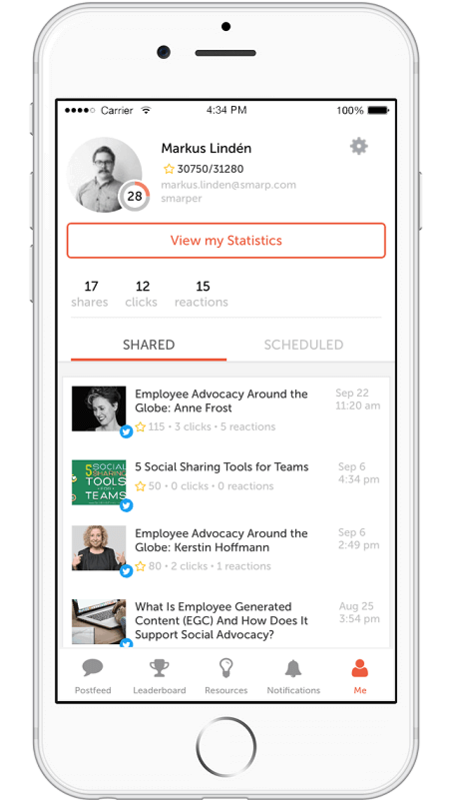 With their mobile app, all team members can easily view, publish, and suggest curated content to share on social media. One of the more difficult types of content to create outside the office is engaging designed graphics, especially if you want something animated. Adobe Spark Post is going to be the best competition to your go-to designer in the office. 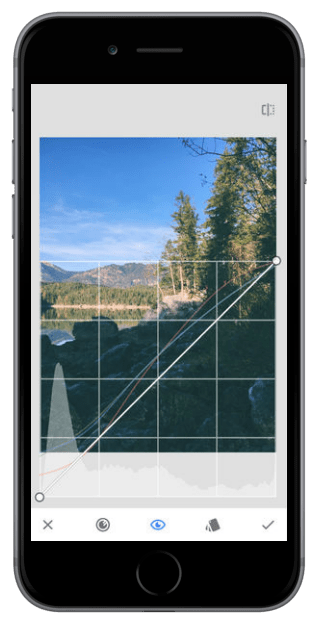 The app offers tons of templates and ideas, smart design features that simplify working on the fly (and a small screen), and it lets you add animated effects to social media graphics that you really need to grab attention. Social media marketing isn’t just communicating with your audience. You also need to stay in touch with your team. Talk with the rest of marketing to delegate and collaborate, send updates to the rest of the company, and get feedback from anywhere. For that, there’s nothing better than Slack. Their mobile apps are kind of amazing, from smart notifications to advanced search, and general ease of use. Anchor.fm is an audio recording app for micro-podcasting, audio broadcasting, Q&As, and more. You can either use it to create original content like a podcast or to create audio content to export and share natively on social media. Features like sound clips and transcriptions make it simple to create audio for social media. If you want to play, you need to pay. And if there’s one thing you have to sit down in an office for, it’s running ad campaigns, right? Wrong. Every part of a Facebook ad campaign, for example, can be done from mobile through their Ads Manager apps. Optimize copy or adjust budgets from anywhere, since every minute is crucial. Or upload media from your phone to use in future campaigns. At this point, Boomerangs have become a content format in their own right, separate from the picture, GIF, and video that it combines. 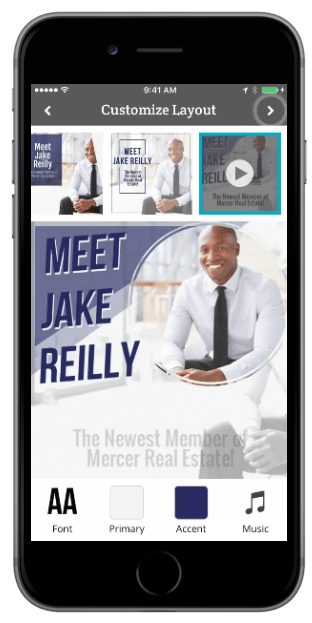 This video flip-it-and-reverse-it content creation app, made by and for Instagram, is perfect for creating personal, original multimedia. It’s easy, and it’s just plain fun. 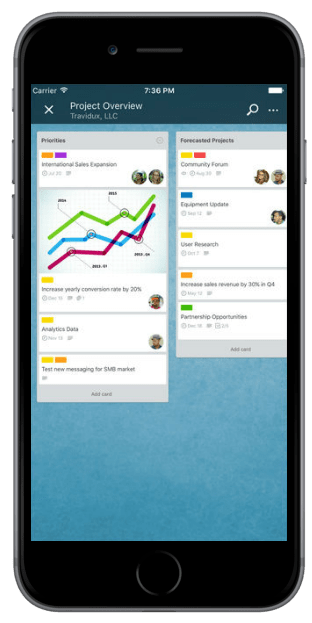 If you’re using Trello for project management to keep your social media marketing team organized and on track, the mobile app is a must. From your phone, you can track in progress social media projects and tasks, update your team, and check in on what you should be working on. It even supports offline work. Although it has many compelling use cases, you might want to think of Anders Pink as your social media scout. It looks at your social media followers and can show you what topics and articles they’re most engaged with. From there, it’s easy to push out shares that are pre-selected to be of interest to your audience, which is much smarter than spraying and praying. 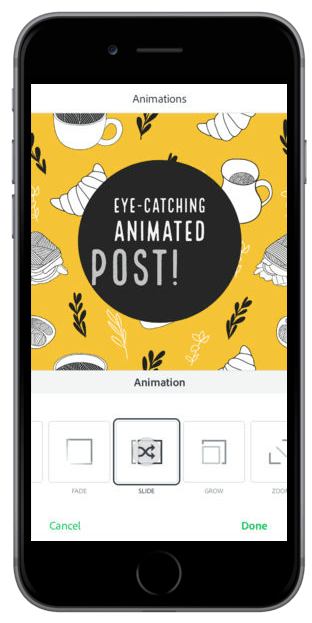 If you’re creating and sharing visual content on your smartphone, you also need to be able to edit it there. Snapseed is a wonderfully advanced yet easy to use photo editing app that lets you fine-tune visual content. If you’re creating and posting from your phone, not having to send it to a computer for editing is so much simpler. Your social media strategy surely involves driving traffic back to your website or other web properties. How’s that working out for you? Use Google Analytics’ mobile app to check in on your website. Make sure it’s performing properly, see how people behave once they’re there, and monitor the impact various social media initiatives have on your owned properties and its various conversion goals. CoSchedule’s social media management software is excellent at providing you an overall view of your marketing calendar. 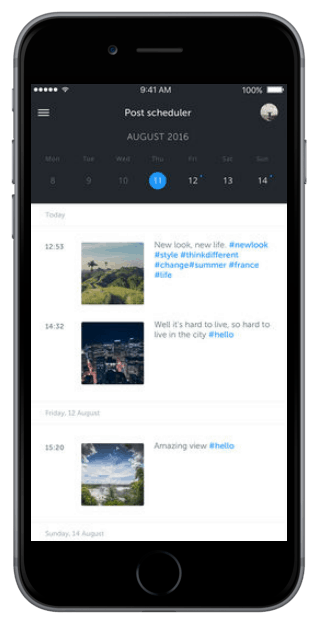 From the app, you can get a bird’s eye view and manage and edit social media posts. 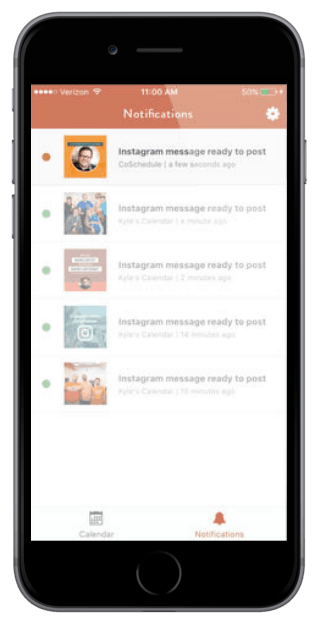 You can also use CoSchedule’s mobile app to schedule and post content to Instagram, which many schedulers are not yet capable of. IFTTT (which stands for “if this, then that”) is an automation tool that lets you build connections between different tools and online services. Setting up and triggering the right integrations between your important social media apps, as well as many other platforms you use throughout your day, you can create custom time-saving social media shortcuts for your team. Amplifr’s social media scheduling app takes advantage of AI to help you make the most of your social media strategy. It will help you make sure you’re posting at the best times with optimized messages and makes it easy to reuse high-performing content again. The mobile app also has detailed analytics to see how you’re doing at any time. Ripl is another app that makes it so easy to create multimedia, that there’s no excuse not to. Its specialty is shareable, professional social media videos and animated graphics. With their focus on social media performance, there are tons of templates to help you get started. You can share animations straight from the app, and you can even track engagement on them within Ripl. 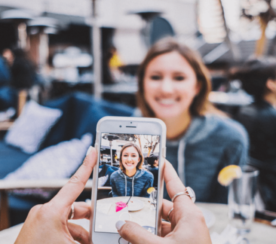 Live video is one of the best ways to get attention right now, but there are multiple places your live audience is hanging out. Sure, there’s Facebook Live, but you’ve also got YouTube, Instagram, Twitch, Periscope, and more, each with its own audiences. Using a service like Restream.io lets you broadcast to multiple platforms at once. 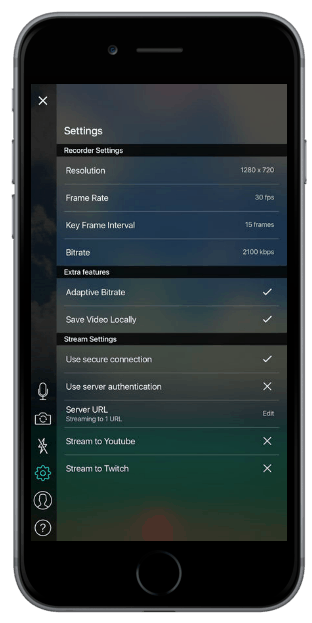 To use Restream.io on your mobile, there are companion apps you can use that can connect to the right kind of server. To monitor any topic, name, or keyword on social media, a monitoring app like Mention is key to finding all important conversations for your brand to interact with. Their mobile app allows you to monitor and engage in conversations, collaborate with your team, and view insights to help your social strategy. With apps like these, it can actually be beneficial to get out of the office and out into the real world for your social media strategy. Creating, publishing, and executing on the fly has never been easier. What are you waiting for? Download these apps and log off your desktop.